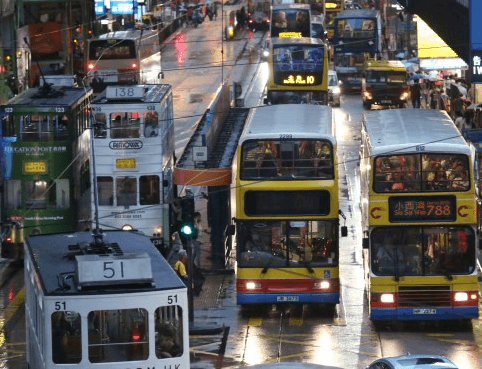 HF: The SCMP of 19th August 2015 contains, “A controversial proposal to take Hong Kong’s iconic 110-year-old trams off the roads in Central district to reduce traffic congestion has been met with opposition from concern groups and members of the public online. The proposal, made by a retired government town planner, suggests removing trams from some of the city’s busiest roads and demolishing tracks and stops to free up more space for other vehicles. The sections of road covered by the proposal include Des Voeux Road Central and Queensway in western Hong Kong Island. Retired town planner Sit Kwok-keung, who now works as a consultant but is representing only himself in this case, submitted the proposal to the Town Planning Board last month. He said trams occupied about 30 per cent of the surface of the roads where they operated, and removing them could significantly improve traffic in the district. Sit said now that the MTR’s West Island Line had opened, the trams serving the area should be phased out. “We should stop embracing something old and flawed but instead view the issue from a development perspective,” he said. Our index contains many articles about Trams in Hong Kong including proposals that never came to fruition.